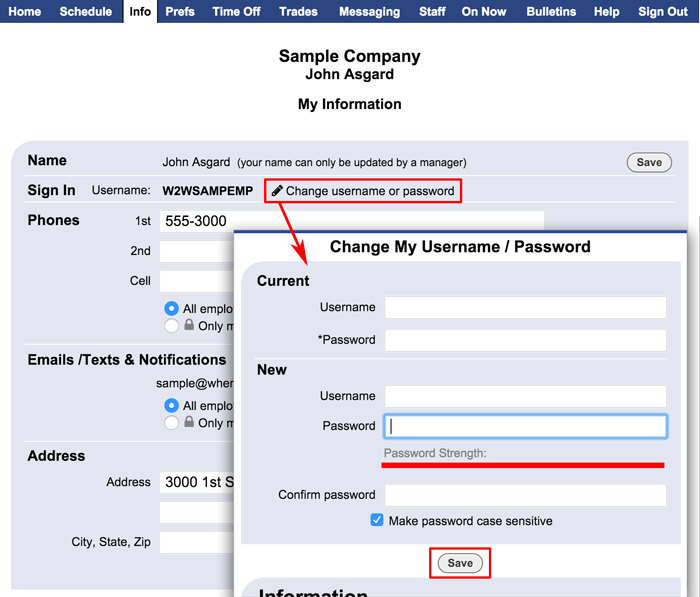 You can change your own username and/or password as often as you like using your Info (My Information) page. NOTE that changing the username or password will expire all previous sessions (like bookmarked pages and mobile app icons) so you will need to sign in and bookmark again. In the top menu, click Info and click the "Change username or password" link next to your username. For security reasons, you must re-enter your current username and password before entering new ones. If the new username you choose is already in use by another user in our system, you will have to select an alternate one.